Each year, hundreds of MA families experience some kind of fuel leak. What many people don’t know is that most home insurance policies will not cover your property damage from a spill or leak from your fuel oil tank or lines. Fuel leaks or spills that happen in your home can be costly and disruptive to you, the homeowner, but also cause major problems for the environment. A leak may result in exposure to petroleum vapors in your home. If the oil leak reaches the soil or the groundwater beneath your house, you must clean and restore that environment to MA State Standards. Leaks that affect a neighboring property or drinking water supplies can get quite complicated. 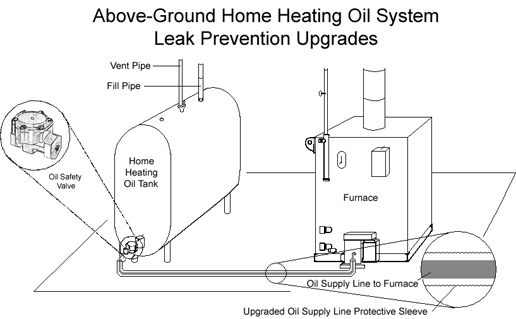 Effective September 30th, 2011, homeowners with 1 – 4 family homes using oil heat must upgrade their home heating system equipment to prevent leaks from tanks and pipes that connect to your furnace. Insurance companies that write homeowner policies to offer coverage for leaks from heating systems that use oil heat. Here at Elliot Whittier Insurance, we are working with our Homeowner’s Insurance Companies to make sure that we have access to the endorsements you will need to protect yourself and your home from this peril. If you have any questions please visit mass.gov or Elliot Whittier or call us at 800-696-3947.